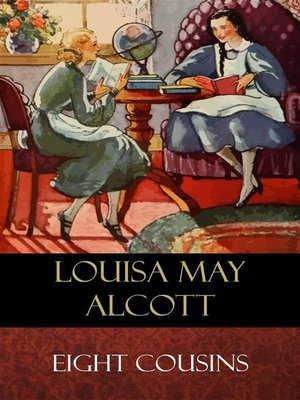 Eight Cousins was published by Louisa May Alcott. It is the story of Rose Campbell, a lonely and sickly girl who has been recently orphaned and must now reside with her maiden great aunts, the matriarchs of her wealthy Boston family. When Rose's guardian, Uncle Alec, returns from abroad, he takes over her care. Through his unorthodox theories about child-rearing, she becomes happier and healthier while finding her place in her family of seven boy cousins and numerous aunts and uncles. She also makes friends with Phebe, her aunts' young housemaid, whose cheerful attitude in the face of poverty helps Rose to understand and value her own good fortune. 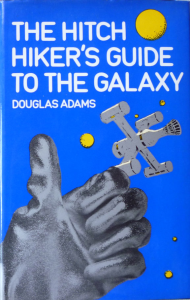 Each chapter describes an adventure in Rose's life as she learns to help herself and others make good choices. Rose must define for herself her role as the only woman of her generation in her family and as an heiress in Boston's elite society. 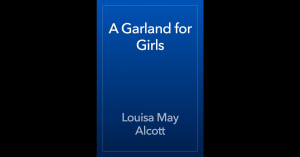 Louisa May Alcott (1832-1888) was a prolific and multi-talented American writer. Amongst her works are passionate, fiery novels, moralistic and wholesome stories for children, philosophical essays and letters. Her overwhelming success however, was with Little Women: or Meg, Jo, Beth and Amy (1868), a semiautobiographical account of her childhood years with her three sisters in Concord, Massachusetts. Part Two, or Part Second, also known as Good Wives (1869) followed the March sisters into adulthood and their respective marriages. Little Men (1871) detailed the characters and ways of Alcott's nephews who lived with her at Orchard House in Concord, and Jo's Boys (1886) completed the "March Family Saga".